A new API known as CallKit is part of iOS 10. Thanks to this API, VoIP calls can appear as regular calls. This also includes Skype calls which now appear in full screen with the usual accept and decline buttons, instead of the old notification. 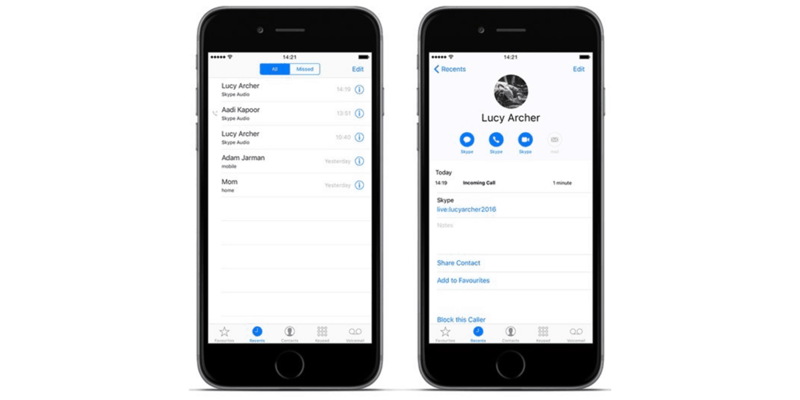 Luckily, there is a way to stop Skype calls from appearing in iOS 10 Phone app, which would make it so much easier to identify regular phone calls. If you use Skype often it probably bothers you to see all of your Skype calls displayed in the ‘Recents’ tab of the Phone app. Here’s how you can stop Skype calls from appearing in iOS 10 Phone app and clean up your ‘Recents’ tab. Launch the Skype app and select the ‘My info’ tab. Tap on ‘Settings’ and scroll down a bit until you locate the option titled ‘Integrated Calling’. 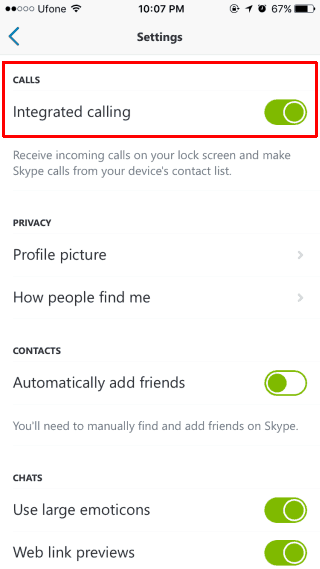 Simply disable this option and from then on, Skype calls won’t show up in the Phone app anymore. Now that you know how to stop Skype calls from appearing in iOS 10 Phone app, there’s one more thing left to do. Disabling the ‘Integrated Calling’ option doesn’t delete existing Skype entries from the Phone app’s ‘Recents’ tab. Sadly, you will need to manually delete these entries. 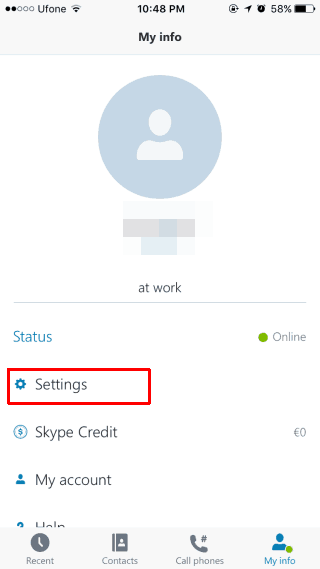 To do this, swipe left on a Skype entry in the Recents menu then select the ‘Delete’ option. Also, disabling CallKit integration will make your Skype calls appear as a notification on the lock screen and you won’t be able to initiate Skype calls directly from your Contacts list anymore.